Originally posted by NASA Speed News, check out their great publication. Michael Shawhan decided he wanted to race his Spec E46 at the 2016 Eastern States Championships, so he did. 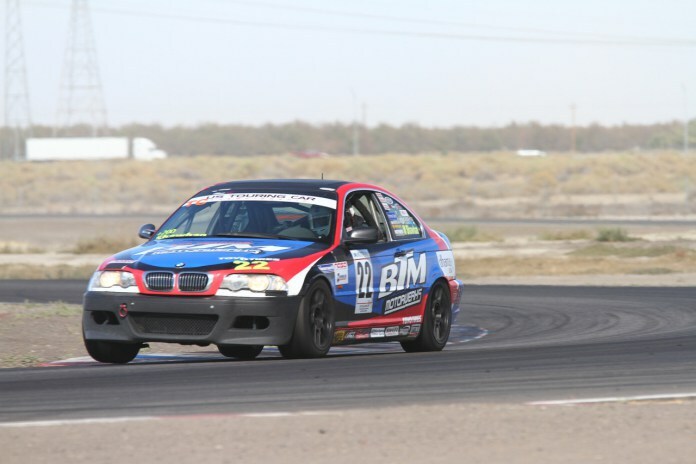 Claiming a solid second place at Watkins Glen, he moved on to the 2016 Western States Championships at Buttonwillow Raceway. This time Michael Shawhan controlled the entire race from the front to cruise to his first Championship victory to date. However, Michael Shawhan didn’t only race one car, he also entered his Spec E30. In a close battle, Michael Shawhan barely missed out on his second victory of the weekend, finishing in second by less than three seconds. Speed News caught up with Michael trackside to ask a few questions. SN: Why did you want to go to the Eastern Championships and run the Spec E46? Shawhan: The main reason I wanted to go was because Watkins Glen is a bucket-list track for me. I’ve always wanted to race there, and it’s one of the most iconic tracks in North America. James Hunt has raced there, the top F1 guys have raced there, so it’s just a bucket-list track. I saw it was on the Championships so I had to make it out there. SN: Obviously, you did very well there and are doing very well here. How long have you been racing? 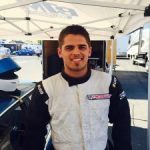 Shawhan: I got into racing through go-karting at Le Mans Karting in Fremont. I was the head mechanic there, and I started racing karts. In 2010, I decided to enter the enduro karting championships and did pretty well, got fifth that year. So I decided to build a Spec E30 and start racing. SN: What do you foresee for the future of your driving career? Shawhan: I’d like to go as far as possible. I would like to get up to Continental Tire Sports Car Challenge next, IMSA. Right now, with the US Touring Car series, it’s great and I’m enjoying driving in that. I think that it could be a good stepping stone. SN: Why BMW? Why E30s, E46s? Shawhan: Since I was a kid I’ve always loved BMWs. I’ve just had a thing with them. Mazda has a great ladder for Spec Miatas, but I’ve always loved the E30 chassis and love the E46 chassis. BMW has always just been my car since I was a little kid.